Be creative for your next marketing campaign and order something with a multi-purpose that will be used on the golf course, weekend picnics or pool-side! Packaging: Individually Polybagged 11.0 lbs. / 300 pcs. 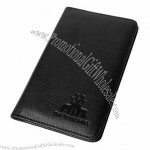 Black luxury leather golfing scorecard holder with double clear plastic inner sleeves and a pencil loop. 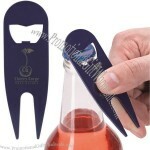 A perfect promotional souvenir for corporate golf tournaments, charity matches or clubs, when branded. 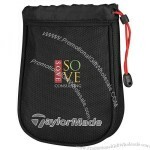 Golf accessories are always popular as promotional gifts. 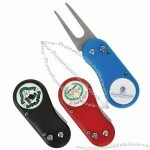 The Flix Lite is an automatic divot repair tool, designed for the golfer who needs a light, yet rugged, repair tool. 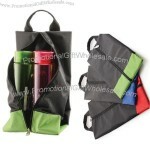 Promotional multipurpose bag made of Nylon features for your convenient to bring anywhere. 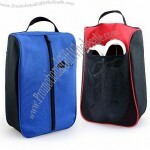 Besides that, it also can be use for camping, gym or outdoor activities as personal belonging bag! 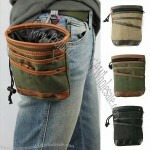 Mesh pocket at back for towel or slipper. 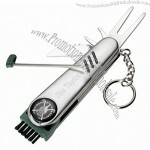 Product Dimension: (mm): 230(W) x 350(H) x 120(D). 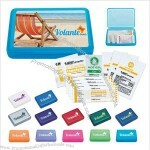 Packaging: Each in Individual OPP bag. Print Type: Silk Screen / Embroidery / Heat Transfer. Have you heard golfers lamenting their frequently lost ball markers? We have, too! 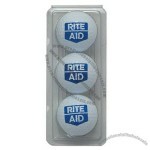 But now they can rejoice, because the Hat Clip with Ball Marker from ChinaWholesaleTown.com was invented. Just clip these personalized hat clips to the bill of your favorite golfer's hat or visor, and you'll never stop getting thanked for it. 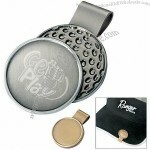 The strong magnet keeps ball markers in place until they're needed, and the engraved logo doesn't wear off easily. Plus, each ball marker clip is made of metal for an extra durable construction that'll last season after season! Attach a magnetic clip to your golf accessories, your shirt pocket, or even your purse and make sure you never lose your ball markers again. Send the competition to the sand trap! Head "fore" ChinaWholesaleTown.com now if you want to lock in this extra-low price! Call us today. 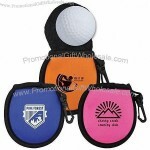 Golf ball neoprene feel cleaning pouch with clip for attachment to golf bag. 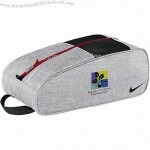 Inside pouch is terry cloth and pulls out for easy cleaning. 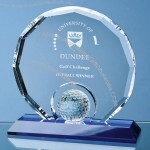 If you have someone in your life who loves the game of golf, you can also make this a special gift to them. This is often a great idea in a corporate setting, with executives often bonding and forming partnerships and deals on the golf course. Have your boss抯 name or the name of an associate engraved on this piece, creating an instant positive association between themselves and your company. 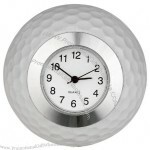 The base is polished zinc alloy, plating, At the top of the clock is made of a real golf ball processing and into. A HIGH ENERGY CORE TOURNAMENT BALL WITH MAXIMUM DISTANCE, ACCURACY AND CONTROL. A SURLYN COVER FOR SOFTER FEEL AND ADVANCE PERFORMANCE WITH A 90 COMPRESSION RATING. "THIS GOLF BALL IS EXACTLY THE SAME AS A TITLEIST XL"
PACKAGING:--3 BALL DISPLAY PACK / "PRICES ARE PER BALL"
The cutest way to caddy across your desk, this sporty golf pens set is the perfect way to “putt” notes, “nine-iron” signatures, and “drive” to-do lists. With a fully functional, miniature golf bag and three different club ballpoint pens, this lighthearted golf gift is perfect for the golfer who's head is always in the game. 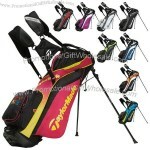 Golf Pens with golf bag holder, 4-piece set includes three golf pens with red, blue, and black ink and a miniature pen holder golf bag. Each golf pen measures 6”. Each golf pen measures 6”. 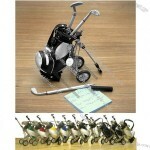 Custom-made Golf Items From China Factory, Low price Golf Items, Top Quality, True wholesale source for original!